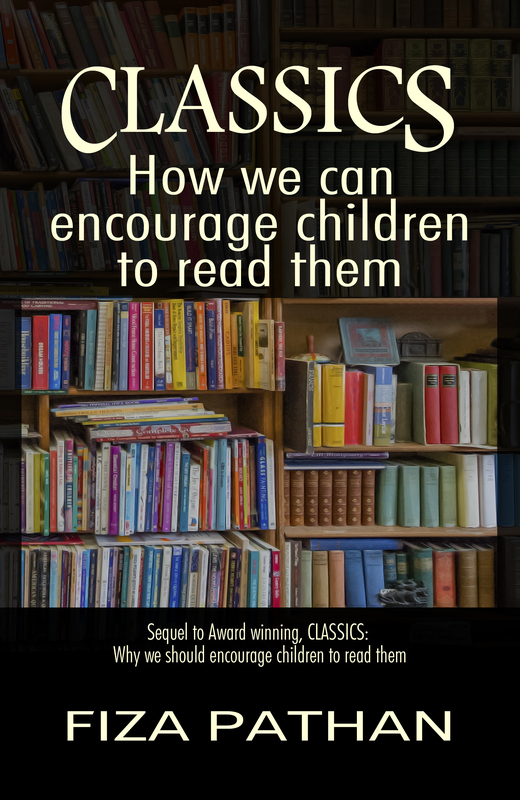 Classics: How We Can Encourage Children to Read Them (Volume 2) is a non-fiction educational text written by Fiza Pathan. Pathan is an educator and author who grew up loving the classics, and she views them as an essential part of a child’s education. She presents a number of strategies she’s developed, or adapted from her own learning experiences as a student, that can be used to encourage both avid readers and children for whom reading is a more difficult process, and anyone in between. Pathan discusses abridged versions of the classics and the value of these easier, more accessible texts when introducing classics to younger students. She will often keep track of the students reading those abridged versions and offer them the full text when they are academically and intellectually ready for them. Each chapter concludes with a classics-related quiz, puzzle or recommended reading list, and the appendix includes a complete list of the authors and works referenced in the text and a full index. I wasn’t sure how I would respond to reading Fiza Pathan’s educational text, Classics: How We Can Encourage Children to Read Them (Volume 2), but I was curious because I have always loved reading and devoured the classics as a child. . .
An exceptional review Fiza. You’ve certainly inspired that reader.